Orthopedic claims refer to any and all claims involving the muscles or the joints. Perhaps the biggest area of litigation in the realm of orthopedics involves low back disability claims. But this category may also include any disabling conditions of the knees, ankles, elbows, shoulders or feet. Entitlement to service-connection for these conditions is analyzed under the same basic rules for service-connection. We have discussed these basic rules in other articles, which are available elsewhere on this web site. 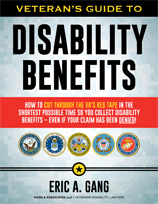 Of special interest is the way the VA has historically treated low back disability claims. The typical low back disability claim involves a Veteran who experienced some degree of back pain during service either without an explanation or as a result of lifting something. His initial soreness resolves in a matter of days or weeks and the remainder of his service treatment records are silent. Sometimes, many years elapse between discharge and the onset of serious back problems. When the Veteran finally makes a claim, the VA denies it thinking that there were no problems for many years and that he is just complaining about it now. VA attempts to suggest that this means that there is no connection. However, in taking such a position, VA ignores the reality of real life. Ninety-nine percent of most Veterans when they discharge from service are going to say that there is nothing wrong with them even though there may be significant problems. They do not want to be held over because of some abnormality and they are anxious to go home. As such, they tend to minimize any health problems they may be experiencing. And then, many years pass without significant treatment and a claim is only made after decades following service. The VA makes it appear as if there were no problems before and that this problem somehow just popped up in recent years. 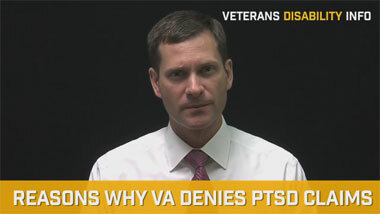 However, the approach of the VA in this regard is inconsistent with the medical evidence. Typically an injury to the low back, even though it heals from the acute pain, can pre-dispose one to the early degenerative onset of problems involving the spine which do not appear until many years later. The VA fails to understand this fact and as a result, they repeatedly and unfairly deny disabilities of the low back. In addition, other areas involving the orthopedic realm concern disabilities to the lower extremities causing arthritis or degeneration in other joints. For example, if a Veteran is service-connected for a right knee problem and this produces a limp when he walks, then over time, the altered gate may cause his low back to be affected, and may put extra stress on the left knee causing him to develop an arthritic condition in the left knee. This is a very common occurrence, but VA often appears skeptical of such claims. The other area involving orthopedic claims deals with increased rating. Generally, orthopedic claims will be based upon the amount of range of motion that is impaired as a result of the disability. The VA regulations do provide for consideration of pain and other limitations. So if you have normal range of motion but with extreme pain, then the VA regulations will consider that disability to be extremely serious. But in practice, the VA often times does not undertake consideration of these matters in the appropriate fashion. In other words, they fail to take pain into consideration as they should. As veterans disability lawyers, we may be able to help. 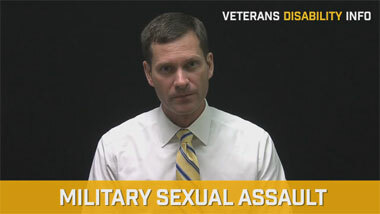 So, I invite you to contact our office if VA has recently denied your claim.